Since year 2000, BongChu has continued to provide the unique taste of braised chicken and keep the self-esteem as the original. 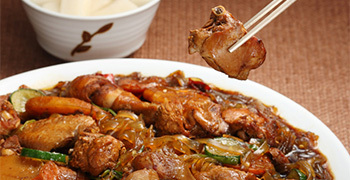 Since year 2000, BongChu has continued to provide the unique taste and keep the self-esteem as the original Andong braised chicken. BongChu is a healthy and delicious meal that suits the taste of the local recipies in the Andong area. It has evolved as modern-fusion food. BongChu tries to distribute Korean traditional culture worldwide through BongChu Food System Danchun established in the year 2001.